Does anyone have a link to Holly’s recent contract extension? Here's a link to the utsports article about it. I’ve read several articles. I’m looking for a copy of the actual contract. Doubt you'll be able to find the information on the actual contract. Stated that she is making 690 thousand a year and that there is a buyout that cancels the contract whether true or not is unimportant as no one is making a move on her unless she fails quite a bit more. From my view point, there is not quite a bit more out there to define failure in her case. So, is a coach allowed to fail and how many times?..............really, I am not a big Holly fan, but who out there wanted to follow Pat's legacy? I don't claim to know this team like I did in the past, its just not that exciting to watch anymore. 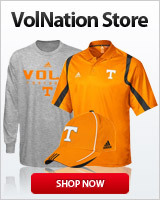 I don't think UT is in a strong enough financial position to fire and hire a new women's head coach. Can't follow the legend is the go-to soft landing for CHW's unfortunate but obvious coaching shortcomings. Not sure its even true but if it is, I've long argued its all the more reason HW should have been let go years ago! Consider her the sacrificial sure-to-fail starter post-legend coach. Then move on quickly to the next real coach who in our case now most assuredly will not be burdened with legend following. I do agree it's not that exciting to watch anymore, in fact its often excruciating. But I'm clinging to hope that a coaching change at least makes them fun to watch again. I'm hopeful (probably foolishly) UT will find the LV brand worth at least one more attempt to save. I know it's not revenue positive, but at its peak the LV brand was UT's best public "ambassador" worth way more than it cost. It can be valuable again, but its currently plunging in the wrong direction. Agree 100%, LV Brand is tarnished and it will take another coaching carousel to fix. The only thing I can come up with as to why she has been given so long to get the program back on track is that she has been at Tennessee so long she has acquaintances that keep her hanging on. Any other person that had followed Pat and done this type of job would've been gone a couple years ago. That is why I keep saying she has a lot of rope and she know how to use it because even a six game losing streak against some really terrible teams didn't move the needle. I don't know, CHW is fast becoming a legend, like the Headless Horseman, Candyman, and the hook guy from any lovers' lane. That's the state the program will be in when she's done. Pretty sure everybody sane knows "she can't follow the legend". Hardly anyone ever can, so that's completely understandable. She's kept the cupboard relatively stocked. No offense. She's a VFL and should remain so. UNLESS she circles the wagons and wages war for her job, IMO. So, it's now waaaay past time to go find the true successor who can steer this mighty ship back to it's proper place. Hope we are already making inroads into that end. Is there any provision that reduces the buyout when she immediately lands another head coaching position at a major university? Do you really think that's a situation that might occur? Which major university is going to immediately hire a head coach that doesn't know how to coach? Just curious. Sorry...Neglected to add /s to indicate that it was a facetious question. Your question does raise a great point. If the job being done is so good, why wouldn't other universities be anxious to hire her? Does anyone truly feel that's the case? Then again, Alabama might hire her as a consultant. Nothing to do with finances. Replacing her just isn't on their priority list for other reasons. The existing extension or the "new draft 5 year extension?" If my faded memory serves correctly (don't count on it), I want to say it was a two year extension with a much lower buyout which allows her to recruit (which she did well last year) as recruits won't go where coach is on the hot seat but make it easier to be fired. I'm guessing she had a year left on her previous contract which means she has two years after this season with the aforementioned much lower buyout. ‘Warlick's extension features a buyout of 33 percent of the remaining pay on the contract if Warlick is terminated without cause before March 31, 2020. The buyout drops to $690,000 for the following year, then decreases to the remaining salary for the final year of the contract. Its simple. Stop buying tickets. Unfortunately, the end of the contract. Colleges can't afford to pay buyouts for sports that break even or lose money overall. I really feel for the Lady Vol fans. I know many that don't follow any other sports or teams.